The Glenfield Tunnel is one of the world's first steam railway tunnels and is just over one mile long. It was designed by the famous railway engineer George Stephenson and built between 1829–32 under the supervision of his son Robert. 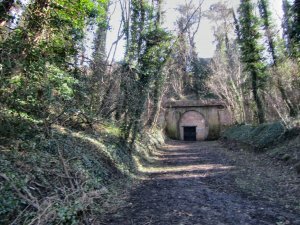 More information on the Glenfield Tunnel can be obtained from the Leicestershire Industrial History Society. Occasional tours of the Tunnel are also arranged. As part of the development of Glenfield Park an archaeological dig is being carried out. More details of this will be posted during 2014.